Millions of people every year are affected by medical malpractice or the negligence of a physician, dentist, nurse, hospital, or pharmacy. Florida has specific, complicated laws that deal with medical malpractice/negligence claims. You need someone who has been through the maze of medical malpractice law and procedures in order to be successful in your claim. For an overview of medical malpractice and the process of pursuing one of these claims, check out this Medical Malpractice procedure. Medical negligence in Florida is defined as the failure to use reasonable care. Reasonable care on the part of a physician is that level of care, skill, and treatment which, in light of all the relevant surrounding circumstances, is recognized as acceptable and appropriate by similar and reasonably careful physicians. How much time do I have to file suit? The time in which to bring a medical negligence claim is generally limited to two years from the date the claimant knew or should have known of the negligence. There are a few exceptions to this general rule. For the exact language, see Florida Statute 95.11. If you believe you have a medical malpractice claim, you should act immediately, by calling us now. Florida Law is complicated and the procedure described below is not intended to cover each and every instance nor cover the many legal procedures of medical negligence. It is only intended as a broad outline. Consumers are cautioned to consult with a lawyer competent in this area of law to assist them in all aspects of a medical negligence case. A consumer acting alone would be quickly fed to the insurance company sharks --their very competent attorneys. Florida Law does not permit the consumer to file a lawsuit against a health care provider without first going through a preliminary or pre-suit procedure that is more specifically spelled out in Florida Statute 766.106 et. al. This pre-suit procedure is filled with legal mine fields for the unwary. 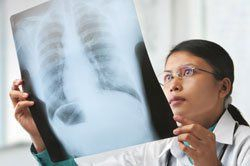 Before a consumer can bring a claim ( which is know as a "Notice of Intent") in the pre-suit stage, the consumer must have a qualified physician in the same or similar specialty review all of the relevant medial records and studies ( x-rays, MRIs, and such) concerning the care and treatment of the injured consumer to determine whether of not the physician in question used reasonable care ( see above definition) and caused harm to the consumer. If the expert feels that there is medical negligence, the expert must sign an affidavit setting forth his or her opinions and the facts supporting those opinions. This expert affidavit and a Notice of Intent must be sent by certified mail along with all the medical records and studies to the physician. Theoretically, the physician, his insurance company, and the insurance company’s attorney have 90 days to do informal discovery to determine if there is negligence and if so attempt to settle the claim. This procedure is illusory. Personal injury lawyers around the state that I have talked to report almost 100% of the time the insurance company will deny responsibility regardless of the facts, damages, and negligence. Generally speaking, the consumer must have sustained great and or significant harm in order for an attorney to take the case. This reason for this is due to the significant cost involved in evaluating and prosecuting a medical negligence claim. Many valid claims of injured consumers are turned down because of the costs considerations involved in these cases. For example, a claim that is worth $250,000 cannot be pursued if the cost to prosecute the claim costs the attorney $75,000 to $100,000 to prosecute. When the costs are factored into and along with what the attorney can expect as a fee, the time necessary to handle the case, and the ultimate recovery to the client, such a case is usually not cost effective. The mighty insurance industry would rather spend $250,000 defending the claim even if the physician was negligent than to pay the consumer what he or she is rightfully due. When the claim is denied, the injured consumer then has the choice of withdrawing his or her claim and not proceeding any further, which would mean eventually the loss of all rights to bring a claim. If the consumer decides to proceed after discussing all the relevant procedures and risks with his or her attorney, the consumer must file a lawsuit. The procedural aspects of a medical negligence case are essentially no different than any other civil case in which a jury trial is requested. However, medical negligence cases cost more, are fought harder, take longer ( usually due to the number of defense attorneys, doctors and or defendants, expert witnesses, and limited judges and court rooms to handle these cases ), and generally do not settle until the last minute, if at all. The consumer and the attorney must be committed to go all the way to and through trial. A quick word of advice: before you see a physician, check their record with the health department to see their qualifications and be informed if they have been sued in the past. © 2018 Personal Injury - auto accidents-class actions-slip and falls-medical malpractice-workers' compensation. All Rights Reserved.